It's no more news that the Glo N200 special data plan offer has been discontinued and even the MTN hammer VPN cheat is no longer working. 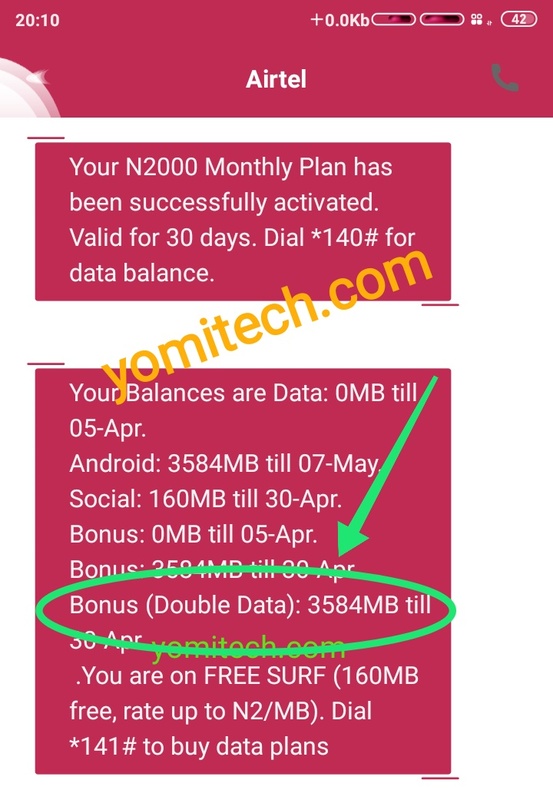 The good news however is that there is another free browsing cheat that has been available for quite sometime now and it's for Airtel users. The new Airtel browsing cheat uses the Airtel 100% data bonus you get when you purchase a new SIM card as well as the Airtel reversal method. In this post, I will give you a step by step guide on how to go about it. the double bonus is valid for how many days ?